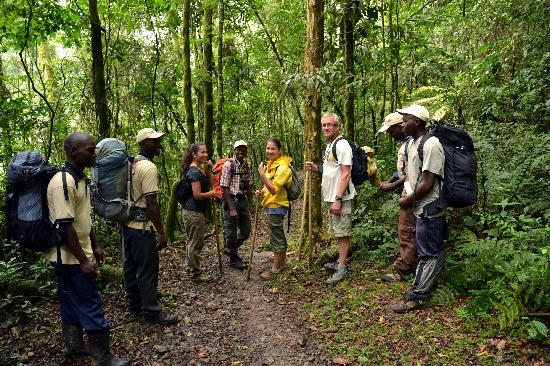 What to pack for your gorilla trekking tour, What to pack for a gorilla trek- while planning for your gorilla safari, here is a list of items you should consider carrying such that you can have the best gorilla trekking experience. Ensure that you carry strong waterproof and ankle support hiking boots that are of light weight that will enable you to climb the steep slopes as well as supporting your walk through the gentle slopes within the forests. Tourists should know that it’s very important to carry these walking boots because they will enable you walk while in the National Parks as you search for the endangered mountain gorillas since they move from one place to another within the Parks, whether it Bwindi Impenetrable National Park, Mgahinga National Park in Uganda or Volcanoes National Park in Rwanda. You may also carry heavy soled rain boots as an option because they also work well. Tourists should ensure to carry Rain jackets that are water proof and wind proof, with a hoods as well. According to your preference, your jacket may not have a wood but it’s more advisable to carry one with a hood. This is because the forests in the National Parks influence rainfall, whether it’s a wet season or dry season for instance, Bwindi Impenetrable National Park whose forests are Tropical rainforests and its climate is influenced by micro conditions of the area therefore there is no guarantee that it won’t rain. And although it does not rain, the vegetation and ground are always wet especially in the morning hours due to the humid conditions. You also have to carry garden gloves or gloves that are similar to garden gloves for protection of your hands during your trek through the forests in the National Parks. As you climb the steep slopes or rather the muddy gentle slopes since the ground is at times always wet, it may be slippery for you therefore you will need to hold onto some plants and branches for support of which some may be prickly, or you may happen to touch some itching plants therefore these Gloves will be able to protect your hands. You are required to carry long trousers, at least 2-3 pairs to protect you from bugs or other small insects. Long trousers will also protect you from scratches because at times you may slide on the steep slopes or some prickly branches may scratch you. Your trousers should also be water proof because you will desire to take clear photos of the gorillas therefore you will at times have to kneel on the wet grass in order to take clear shots. You will also have to tack the bottom of your trousers into your hiking boots to prevent insects from entering your trousers or boots. Long sleeved shirts/ long sleeved blouses for the Ladies. Tourists should carry long sleeved shirts for protection from the sun, insects, itchy plants and scratches from tree branches. 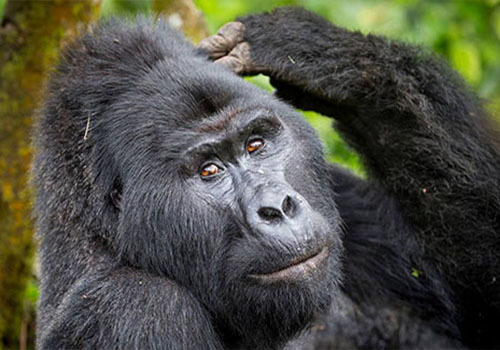 Due to the fact that you are on a tour, do not forget to carry a pair of Binoculars because they will enable you to view other various Plant and animal Species within the National Parks, despite the fact that you are going for Gorilla trekking. 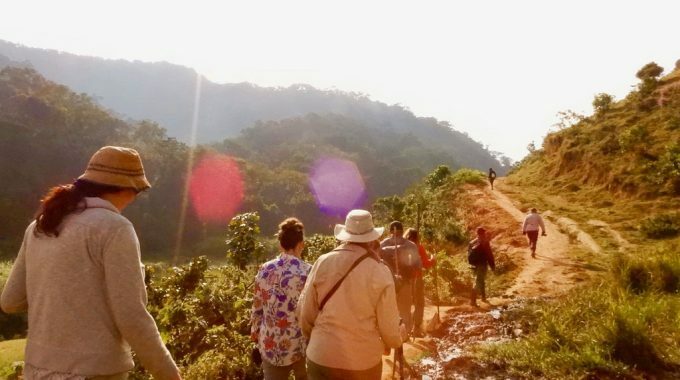 For example Bwindi impenetrable National Park acts as a Habitat for animals such as Elephants, chimpanzees, black and white colobus monkeys, buffaloes and many others as well as over 350 bird species. Therefore during your trek as you search for the Gorillas, you will be able to view the various species as well as the beautiful sceneries. Cameras, Extra batteries and lenses. Ensure that you also carry your camera as you go for this gorilla trek, because photography during your tour will leave you with a memorable adventure. You should make sure that you carry extra batteries that are fully charged to avoid disappointments because we believe that you wouldn’t love to miss taking the beautiful shots of the Gorillas or any other plant, animal or bird species within the forests, don’t forget to carry the film as well. We advise you to switch off the flash lights of your camera as you take the photos because you will scare away the Gorillas. Do not forget to carry Sun glasses with a UV-filter and a neck trap as well. Sun glasses with a UV-filter will protect your eyes against Ultraviolet Rays which may affect your eyes. A neck trap on your sun glasses will prevent your glasses from falling in the forest as you trek or from getting lost at any point where you may be, but however, we advise you to carry at least two pairs of sun glasses in case one gets lost. A wide brim Hat will also protect you from direct sunlight especially to your eyes, face and neck. Since trekking may take two- eight hours because you will have to move quite long distances within the forest in search of the Gorillas that move from one place to another, you may get back late in the evening depending on the time you left for your trek because you cannot tell whether the trek will take short or long hours depending on the location of the gorillas. Therefore you will need a flash light or head lamp to light up the paths through the forests. The flash light is also for safety where you may be in the late hours especially at your accommodation places. Gaiters and thick cotton stockings will protect your legs from scratches from tree branches, thorns and will also prevent mud and insects from entering your boots or from reaching your feet. The Gaiters will also prevent your ankles and legs from spikes of the opposite foot. Don’t forget to carry other pairs of light weight wool socks. These will enable you to balance while on the steep slopes within the forests as you trek. At times they may provide them for you while at the camp or the guides may cut some bamboo sticks for you to act as poles. But it’s much easier when you carry your own, at least a pair. Don’t forget to carry some energy giving snacks since trekking at times seems to be for long hours and you may get tired therefore you will have to gain some energy from these snacks. You’ll be given time to rest and have your snacks as well. You can find these snacks at the hotels in either Uganda or Rwanda and they can be packed for you. A light wool sweater, a pair of shorts, a skirt for the ladies, about 3 short sleeved shirts and blouses for the ladies, buffs, under wears as well as your sleep or night wear are also really necessary , don’t forget to carry them. Don’t forget to carry a pair of light shoes for camping or a pair of sports sandals, water bottle because you have to keep hydrated or a hip flask, sunscreen and insect repellent as well as a light day pack with camelback to keep your hands free. You also really need your personal toiletries, micro fibre towel for rinsing hands and face, a first aid kit with prescription medicines like anti-diarrhea medicine, asprine, hydration sachets, cold medication, motion sickness pills, antiseptic cream, band-aids, eye drops, plasters, moist towels, and your personal medication. Finally, do not forget to carry a note book, certified copies of your passport, your travel insurance, inoculations and your next of kin contacts and details. You may not need to worry about your luggage because you will find Porters at the Parks who will help you carry your luggage during your trek. 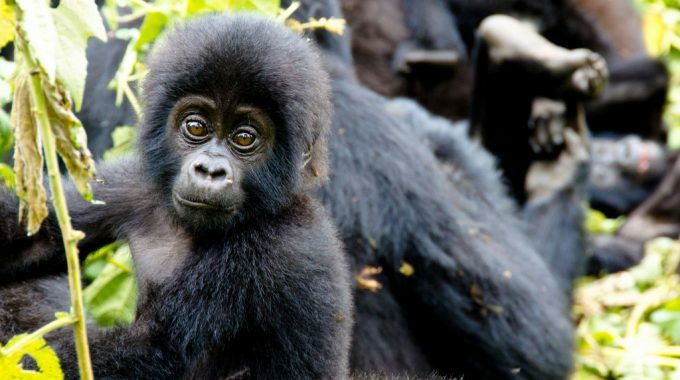 You may pay them for carrying the luggage or their payment may be included in your gorilla trekking package. previous post: When is The Best Time of the Year for Gorilla Trekking? next post: RUSHAGA REGION OF BWNDI IMPENETRABLE NATIONAL PARK.